The group is called "Franklin Storm Relief." It's admins post regular community updates about places for food, clothes, and donations. FRANKLIN, Texas — The roughly 800 member Facebook group "Franklin Storm Relief" has been helping residents get vital information and serving as a community forum in the wake of a devastating tornado that officials say destroyed 55 buildings in Franklin, Texas. 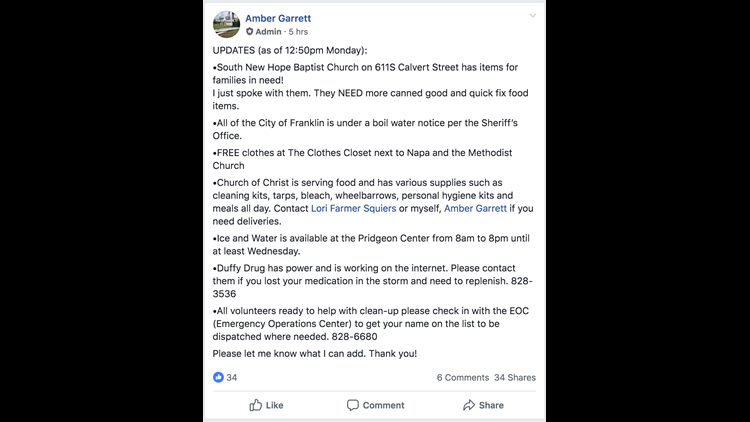 The website's most recent update, as of 12:50pm on April 15th, advised families in need to go to the South New Hope Baptist Church and said the church was in need of canned food. Monday afternoon update post on "Franklin Storm Relief"
Later, in the same announcement, the page's administrator Amber Garrett said The Clothes Closet near the Methodist Church is giving out free clothes and Church of Christ is handing out clothes, tarps, wheelbarrows, and other cleanup materials. Parts of Franklin still remain without power as Entergy crews look to clean up the remnant of a storm that once left the entire city of Franklin in the dark. The Facebook group has become a resource for directing residents to areas with and without power. 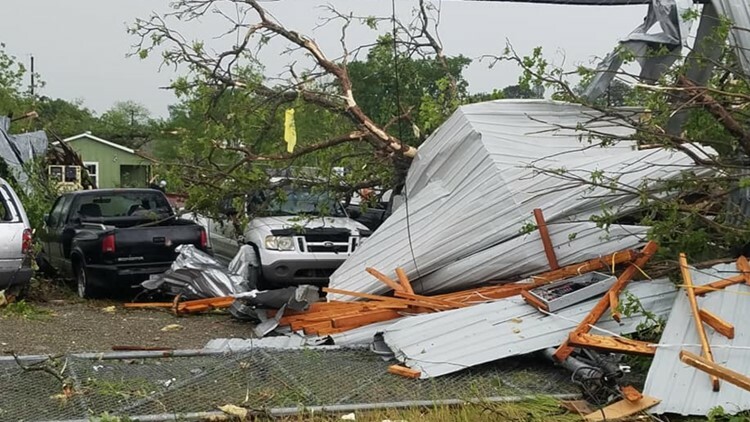 Franklin residents with necessary questions or volunteers looking to help can still call the Robertson County Emergency Operations Center at 979-828-6680.